These two pictures symbolise some of the bigger actors, beeing active behind the scenes. 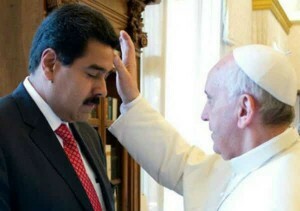 One can look at the bad situation in Venezuela from a sociological perspective and realize, that Guiado represent the old Spaniards, the wealthy small elite of this country and Maduro as representative of the indigene part of the overwhelmingly poor and mostly uneducated people there. There is, to my knowledge no simple answer to the conflict, because both sides have – over the last years – done much wrong. In public (MSM) the traditional extreme right and economic liberal elite wants to get the upper hand and the want to grab the vast energy reserves of this country. On the other hand, the Bolivars don’t want to really share their power in a democratic way with the poeple. Allthough allways stated otherwise, they “gave the people fishes, but never teached them fishing”. Some more detail: Ten years ago, Francisco Pereiro Liz, the Grand Master of the regular Masons of Venezuela was shot and killed on March 6, 2008, during an apparent kidnapping attempt secretly orchestrated by the Socialist forces of the late president, Hugo Chávez. The Freemasons now sent a dramatic appell to all lodges worldwide, not to give in again against the leftist Jesuit led forces. This led to all the strange recognitions of Guiado as president worldwide and not so much the politics of the Trump clique, which itself is only following orders. 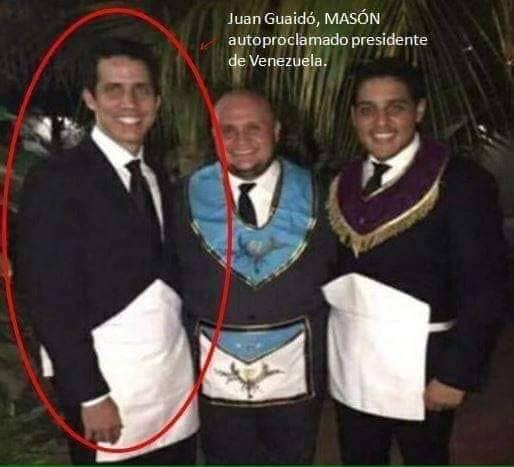 Maybe, VT wants to research a bit deeper into this, because what we see in Venezuela is also part of a broader historic split between the old Freemasonic and Jesuit alliance, it’s now coming to an end, which will also inhibit future changes in the Jesuit state of Cuba. 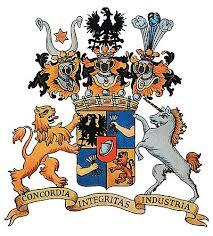 Look at the seal of the Rothchild: When the horse (actually a unicorn, to the right) will loose its grip, the lion (to the left) will come into action, because it has to. This all started way back in 2006, led to the crisis in 2008/09 and will escalate further and get more violent. In Germany, they (the Freemasons) timely placed their horses in the open arena of Vienna already to symbolize the beginning fight. Then directly followed the placing of the Lions in Kassel (Documenta). The problem is, people don’t get the symbolic meaning.